One of the most charming towns I visited on my journey through Southern Italy & Sicily had to be Noto. You’ve never heard of it? Well, that’s not surprising. Neither had I. Located about 30 kilometers southwest of Syracuse, this Baroque beauty is home to one of Sicily’s most beautiful historic centers and is an absolute must on any Sicilian sojourn. The city, now a UNESCO World Heritage Site, was once destroyed by an earthquake in the 17th century and then completely rebuilt from scratch. As soon as you enter through the Porta Reale (the main gate) you’ll feel like you’ve been transported back in time. You’re now on Corso Vittorio Emanuele, the city’s main thoroughfare, which is flanked by golden churches, stunning palazzi, ornate balconies and interesting Baroque architecture everywhere you look. As you begin to make your way down the Corso, don’t forget to peek down the alleyways as you take it all in. As you begin your explorations, you’ll encounter several churches along the Corso. One that is definitely worth a visit is Chiesa di Santa Chiara. While the exterior isn’t much to look at, the interior is stunning, and the balcony offers great views of the Cathedral, the main focal point of Noto’s “skyline”. If you’re not afraid of heights and small, enclosed spaces, make sure you also check out the Chiesa di San Carlo. Not only is the interior gorgeous, but for just € 1.50 you can climb a narrow, spiral staircase up to the church’s campanile (bell tower) for truly breathtaking views over much of Noto. As you continue to make your way down the Corso, be sure to stop at one of the many colorful gift shops to pick up gifts or reminders of your afternoon in Noto. If you are – or know – a chef, a local cookbook makes a great gift. Or perhaps a necklace made from lava stone of nearby Mt. Etna is more your style. Like political comedy? A t-shirt with the phrase “Forget the gun. Take the cannoli.” definitely caught my eye and made me giggle. Whatever you crave, checking out the wares of the local gift shops are a great way to pass the time. After you’ve strolled the Corso, explored the alleyways, climbed a couple of bell towers and shopped for souvenirs, you’ll undoubtedly need an afternoon pick me up. It’s said there is a rivalry between two of the neighboring cafes as to who serves the best desserts in town. Caffe’ Sicilia, located at Corso Vittorio Emanuele 125, is an institution that has been serving up its sweet delectables since 1892. Dolceria Corrado Costanzo, located at Via Silvio Spaventa 9, is a bit quieter but offers up instagram-worthy plated desserts . Both shops offer exquisite gelato, granita and plenty of gorgeous little cakes and pastries. So who is the best? My recommendation: Order something from each shop, along with a cafe of course, and do your own little taste test! You’ll be very glad you did. Very cool article I would love to visit, but I am afraid of heights and narrow spaces so maybe I don’t check that place 🙂 haha and I had now idea about the cannoli. Oh no! Well maybe skip the church and just enjoy the views from other parts of the city. The entire town is beautiful! Congratulations on your upcoming wedding! Prague and Italy is an amazing choice for a honeymoon. And you’re right, Italy is so big and varied it deserves it’s own trip! But I’m not sure you can even see everything in just one trip to Italy. I’ve been 3 or 4 times now and there is still so much more I want to see and re-see! But, whatever you do – enjoy it and congratulations again! It looks so charming. This reminds me of Puerto Rico but I like this place better. You took some really interesting photos. It looks so clean too! I want to search for some yummy cannoli right now. I also love the cute car. Thanks so much Iza! It was pretty clean and yes, I wanted to hop into that little car and take it for a spin too! wow Noto looks like such a cute, picturesque place to visit! This post has made me want to go to Italy even more! That first photo of the car should be a postcard! Thank you so much! You should definitely book that trip to Italy! And thanks for the compliment on the photo. I swear, that car could not have parked in a better spot for me to take that picture! Cool! I’ve never been to India but if it was anything like Noto, I’d love to see it! Ha ha, it’s true. It’s very difficult to only eat one “cannolo”! It’s the first time that I’ve heard about this but it has got me curious. It looks as beautiful as any other more popular Italian cities. The architecture is just breathtaking! Abigail, it is just as beautiful as any other popular city in Italy – if not more beautiful because it is still relatively unruined by tourism. I think it’s because it’s located in Sicily and is a bit harder for tourists to get to. Noto looks gorgeous with that old world charm. its amazing to know that it was rebuilt from Scratch. Italy definitely has some of the beautiful small towns which are enticing enough to plan a visit. It is gorgeous! I hope you get to visit! Such beautiful photographs! Definitely makes me want to put Noto in my bucket list. I adore Italian architecture, and this little town of Noto has some super cute attractions! I have never heard of this town before, and now I need to add to my ever growing travel wish list. Such a cute looking place! I’ve only been to Rome but I can’t wait to go and spend more time in Italy. To be honest, I didn’t know of Noto. I am going to the major Italian cities next year. Only if I would have known about this place earlier, I would have definitely put it in my travel list. I’ve been to Italy 3 times but haven’t visited Sicily. Noto looks so charming and I could spend days just walking around (and eating a few cannoli)! Definitely ornate and mesmerizing. The architectural details are just amazing as I can see in your lovely pictures. Would love to know more about the history of the place. Will be looking it up for sure. Noto is pretty special and we have some great memories from it. It was good to look at it through your eyes. What a great little town, we lived in Italy and I have never heard of it – I will need to investigate 🙂 Thank you for sharing! You’re right, I’d never heard of Noto before now. Thanks for adding to my list! It doesn’t matter where anyone photographs Italy, it’s just ALWAYS SO CHARMING! Love love all your photos! Noto sounds like such a fun little town! Thanks for joining Fly Away Friday, hope to see you again this week! Aww I’ve never heard of Noto!! It looks soooo gorgeous!! I just love Italy, its so beautiful!! Can’t go wrong! 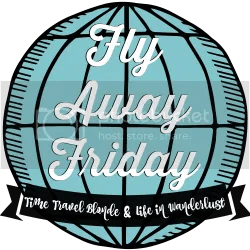 Can’t wait to see what you share on FlyAwayFriday this weekend!! I love your sense of humour, so much so that my eyes are watering imagining people eating ‘granite’, I presume in tiny pebble form so as not to choke but just enough to settle the stomach, as some bird species do. Of course, I enjoy a ‘granita’ that is well made, especially limone flavour! 😋 Noto looks interesting. Cheers. Oh no! Is there a typo in my post?